The studio provides sustained personal attention to small-scale commissions for a variety of private & institutional clients. Active locally & internationally, work ranges from the realisation of new constructions, to the conversion, adaptation, and preservation of existing structures & spaces, often including the custom production of furnishings, fittings, and graphic elements. Other client collaborations include the production of research-based studies & proposals, and the pursuit of independent projects inspired from a variety of personal & professional interests. David Saik was born in Innisfree, Alberta, Canada and studied at the University of Alberta (BA), University of Toronto (Study Abroad), and the University of British Columbia (M.Arch. ).Prior to founding the studio in 2004, David worked with Gluckman Mayner Architects, New York (The Georgia O’Keeffe Museum, Santa Fe, Gianni Versace, Miami, Deutsche Guggenheim Berlin), David Chipperfield Architects, London/Berlin (Bryant Park Hotel, Dolce & Gabbana, Neues Museum), and Herzog & DeMeuron, Basel (The New De Young Museum). 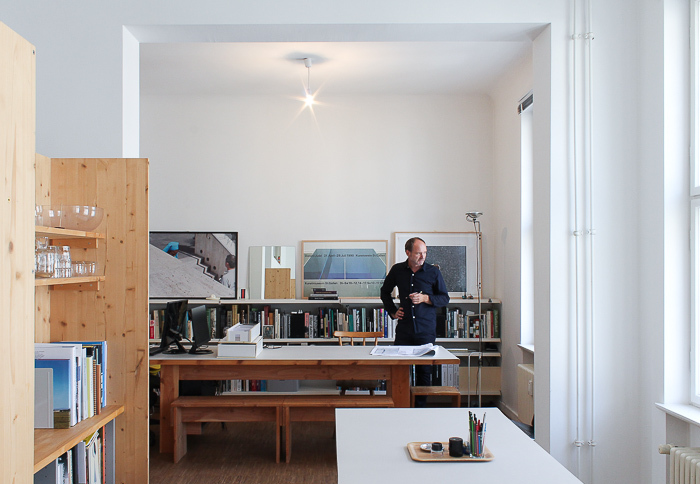 David is a member of the Architektenkammer Berlin.